Sunday's wondrous supermoon - seen across the world as a remarkable, historical red lunar eclipse - was actually a deadly force for iconic wildlife in Africa. 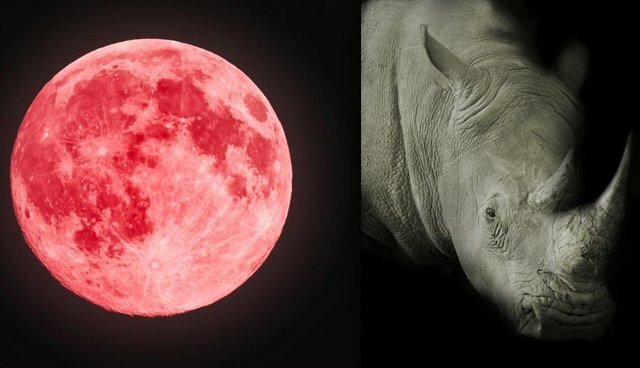 "Full moon periods are known as the dreaded 'poachers' moon,' said Simon Bloch, a freelance journalist in South Africa, who recently reported on a white rhino killing spree that left eight rhinos dead in one regional park. The threatened animals were slaughtered between Friday and Monday morning inside the KwaZulu-Natal's flagship Hluhluwe-Imfolozi wildlife reserve, Bloch told The Dodo. He said at least six of those killings took place over the exact period of the supermoon lunar eclipse, which lasted from sunset on Sunday to sunrise on Monday. At least six of the rhinos had their horns hacked out of their faces. Four died from lethal chemical darting; two others were shot by a rifle. In his story for South Africa's Times newspaper, Bloch said 86 rhinos have been slaughtered in that area in 2015 already. 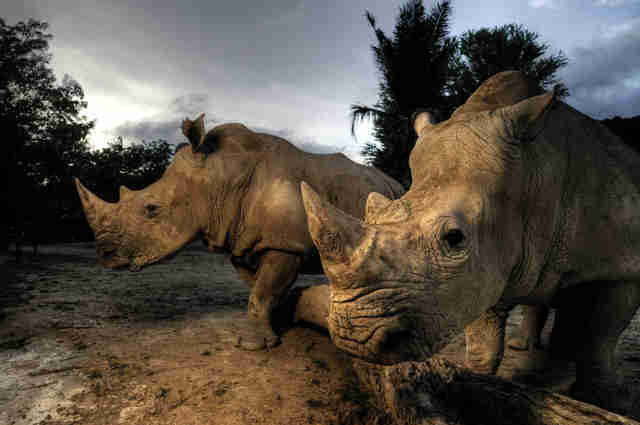 Ninety-nine rhinos were killed in all of 2014 in the same region. Bloch noted that massacres are often heightened during full moons and brightened skies, because it allows for high visibility, "thus eliminating the need for unnatural light sources such as flashlights in the bush, which could give their positions away to watchful eyes - it makes it easier to see one's quarry/target." Some of the carcasses were found less than one mile from the memorial entrance to Hlhuluwe. Bloch says that despite the park's efforts to combat poaching, it's a losing battle on many levels: "There are some exceptionally dedicated and skilled anti-poaching rangers," he says. "However, insufficient man-power and budget expenditure makes it difficult to keep rhinos safe from criminal syndicates that operate with inside information, and have the bush-craft skills and weaponry to infiltrate the expansive reserves, which are protected wilderness areas." According to Oxpeckers, an investigative environmental journalism project, from 2010 to 2015, 4,714 rhino deaths have been reported in South Africa. In a slight sliver of respite in lunar eclipse killing, one wounded adult rhino was found with his horn cut off but still alive. "The animal had been chemically darted, but perhaps the dart fell off, or he was not hit with a lethal dose," said Bloch. The rhino is expected to make a full recovery. Unfortunately, the winter cold is leaving, and longer days are ahead: "We are now going into summer months, where it gets light at 4:30 a.m. and only dark after 7:30 p.m. now to January," explained rhino conservationist Dex Kotze, founder of Youth 4 African Wildlife and one of the strategists for Global March for Elephants, Rhinos and Lions in Johannesburg, which is taking place around the world this weekend. 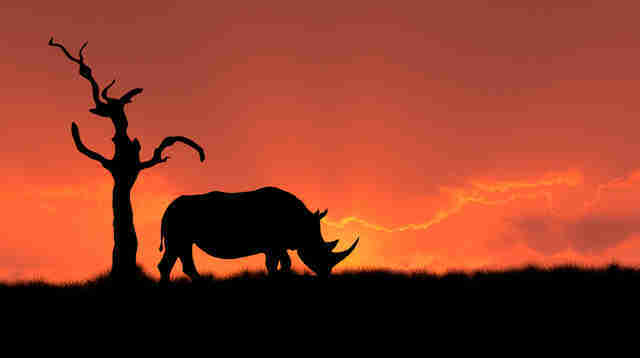 "The extra light really assists the poachers," Kotze told The Dodo. "There is just so much more time for poachers to be in out in the veld/bush with weather conditions playing in their favour."